Vietnamese Minister of Culture, Sports and Tourism has announced the catalog of the country’s world recognized intangible heritages. As per the announcement, 33 world recognized intangible heritages have been included in the country’s catalog that will be protected under the Law on Cultural Heritage. 33 heritages in the catalog include UNESCO’s recognized seven heritages. 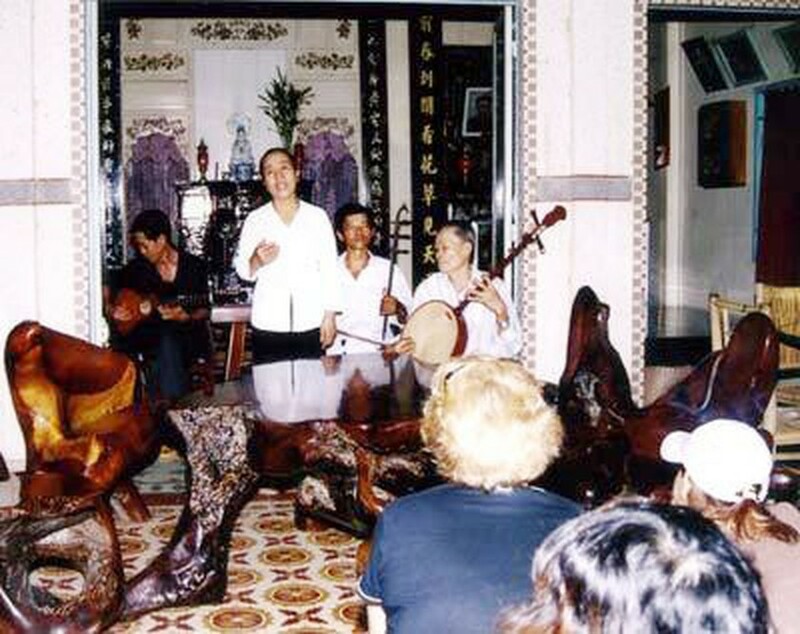 They are Hue’s Royal Court Music; Space of Gong Culture in the Central Highlands; Bac Ninh Folk Music; Chamber Music; “Don ca tai tu” – the southern spiritual creature; Xoan singing, or Hat Xoan as it is known in Vietnamese, of the northern province of Phu Tho; quan ho of the northern province of Bac Ninh; ca tru (ceremonial singing), traditional martial arts of the central province of Binh Dinh; folk music of ethnic minority people Cao Lan; dam singing of central provinces of Ha Tinh and Nghe An and water puppets of the northern province of Hai Duong. Traditional festivals include Saint Giong Festival and Soc Temple in the country’s capital city of Hanoi; festivals Yen The and Tho Ha in the northern province of Bac Giang; fire dancing festival of Pa Then ethnic minority people in the northern province of Ha Giang; Con Son and Kiep Bac festival in the northern province of Hai Duong; Buffalo Fight Do Son in the northern province of Hai Phong; Cau Ngu Festival ( Fish Festival) of the central province of Khanh Hoa; Gau Tao festival, one typical cultural activity on Dong Van karst plateau Geopark in the northern province of Ha Giang; Ky yen festival in Gia Loc temple in the southern province of Tay Ninh; Goddess Ponagar Festival in Nha Trang city of the central province of Khanh Hoa and Tay ethnic minority people’s Long Tong Festival in Cao Bang Province. Worshipping ceremonies and religion heritages include Hung Vuong in the northern probince of Phu Tho, Lo Lo ethnic minority Lo Lo’s ancestor worshipping ceremony, Forest God Worship Ceremony of Pu Peo Ethnic Minority In Ha Giang Province; “le cap sac” for boys at the age of 13 of the Dao ethnic group has the concept of making the ceremony to thank the god of the forest, water god, the god of new rice, the god of earth to report to the gods that their son had grown up; Then ceremony of Tay ethnic group. Speaking and hand writing of Dao people in the northern province of Bac Kan.
Bac Ninh Province in the North Vietnam's folk art painting, Dong Ho and Cham people’s pottery making are also written in the catalog. Under the decision, chairpersons of people committees in the location with heritages have to manage protection of these according to the Law on Cultural Heritage.